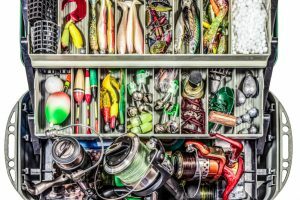 There are countless brands of fish finders out there that give the angler a lot of choices and options that suit their needs, budget, and wants. 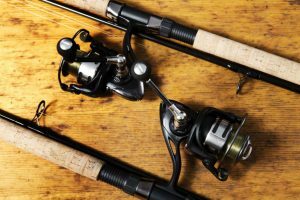 With a lot of competing labels turning out good fish finders it can be pretty hard to dial in exactly what you want or even need, but these Garmin Striker 4 reviews should help a great deal. 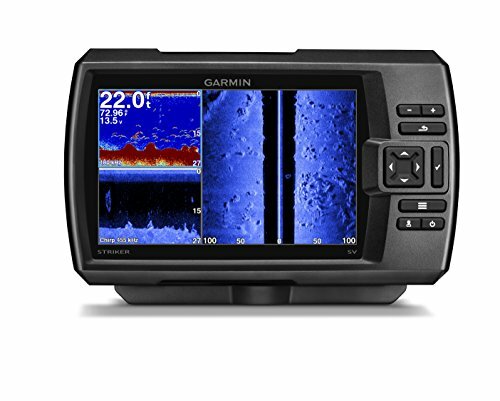 Garmin has been a trusted name in fish finders for many decades. 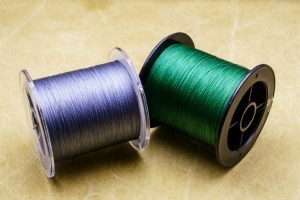 They got their start in 1983 making GPS units and have since evolved into covering a wide range of useful outdoor products for hunters and anglers a like. They have also introduced a line of fish finders that covers a broad spectrum of uses and budgets. 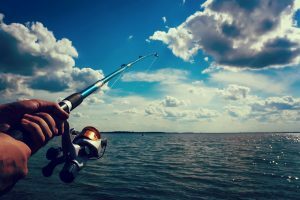 One goes fishing with the hopes of catching fish and depending on where you like to fish, finding where they are can be difficult. 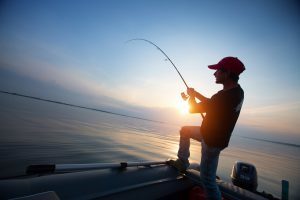 Looking at a wide-open body of water and trying to locate where the prime fishing areas are can seem impossible. Garmin has a whole host of solution’s do that problem and here are a few examples of what they have to offer. 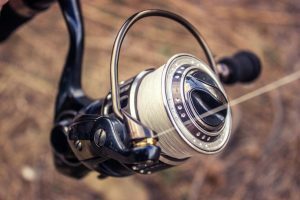 The Garmin STRIKER 4 with transducer, the Garmin 010-01809-00 Striker 7SV with transducer and the Garmin Striker 4cv offer anglers three very distinct and useful options. 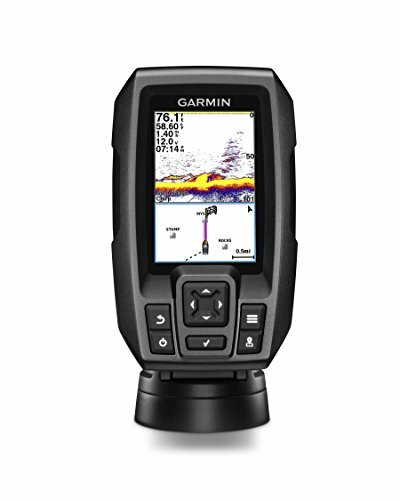 The Garmin Striker 4 Fishfinder is a great entry/mid-level Garmin for those looking for a great quality fish finder that will not break the bank. 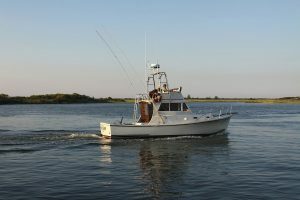 It has a great assortment of features such as a 3.5, 5 and 7 inch screen, Waypoint map feature, and CHIRP Sonar (77/200 kHz) for excellent clarity. CHIRP sonar sends a steady sweep of frequencies instead of 1 frequency, and these frequencies are interpreted individually when they return to the unit. 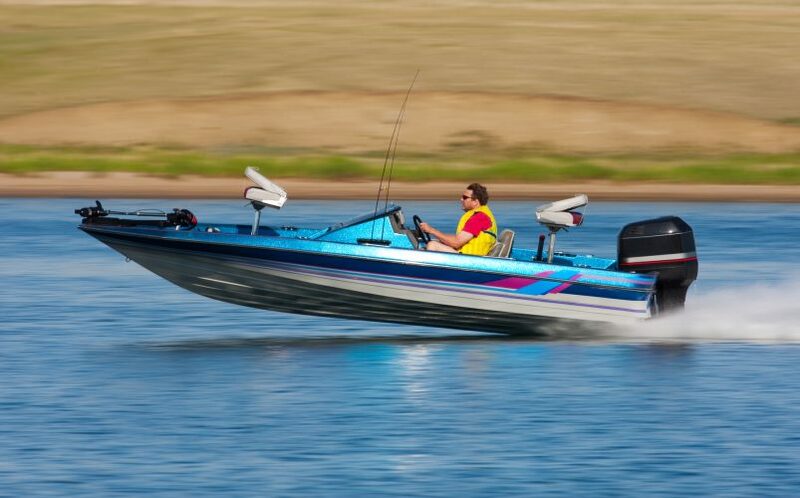 You can also see your boat’s speed quickly and easily at a glance, which is a great feature to use when you’re trolling and want to keep the lure at the correct speed. A portable kit is also available, making the Striker 4 fish finderan extremely versatile device that’s suitable for ice fishing or taking on vacation with you. 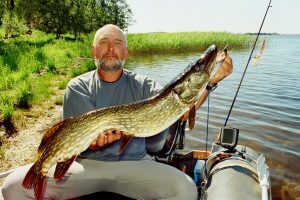 It makes and excellent canoe fish finder and also functions well as a small boat fish finder. It’s easy to mount and use and provides a high level of functionality that can be compared to other devices that are nearly twice the cost. It comes with a transducer and built in GPS. For the amount of money spent, you can’t go wrong with this Garmin Striker 4 fish finder. 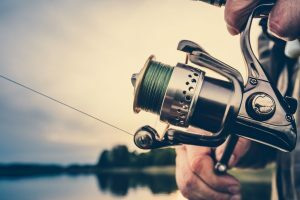 The Garmin Striker depth finder is a great tool from Garmin that gives entry level anglers and those of us who do not wish to spend hundreds, a great option for a fish finder. With clear images that rarely result in false readings, fish alarms to alert you when there is a fish nearby, and the ability to read the underwater structures makes this unit well worth the inexpensive price tag. 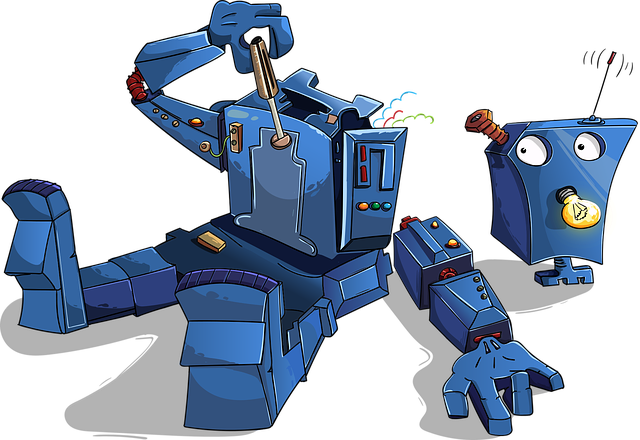 Having to ability to do what other units do for more cost means you not only save money but you also get the same performance landing you those big fish on slow days. It would be nice if the transducer could penetrate the hull of a kayak or Canoe, that would be a notable drawback yet still not a deal breaker for most. You will be hard pressed to find another Fish finder in this price range that can take you to the accurate depths that this guy can. If you want to spend a little more coin to get a lot more options, Garmin has another great addition to their family that you need to look into. The Garmin STRIKER 4cv with transducer gives you a boost in performance over the Striker 4 and gives you some great features. For example, it has a 3.5 inch color screen with a built-in GPS that has a high level of sensitivity. You’ll also get the Garmin Chirp ClearVu scanning sonar. You’ll not only be able to find where the fish are hiding, but be able to mark hot spots so that you can return to them later on. The display size on this device is 4.9 x 7.3cm, and the resolution is 480 x 320. It is capable of reaching down 830 feet in salt water and 1,750 in fresh water. The Striker 4cv gives you a more intermediate option that still gives you some of the features found in more high end and expensive models. Being able to scan deeply and accurately is a great advantage.. The full color display adds a lot more depth to the data you receive helping you pinpoint fish and structures with ease. The built in GPS gives another great added bonus, you can now mark and set return waypoints to places honey holes you have saved. The ClearVu scanning sonar is exactly that, a clear view. No longer are stumps and rocks on the bottom just red blobs, you are able to see the contours and outlines with way more precision. NO more guess work on what that is below you! The GPS feature is neat but it is not a full GPS as there are no maps. Which is a drawback but still an extremely useful and robust unit for the price. 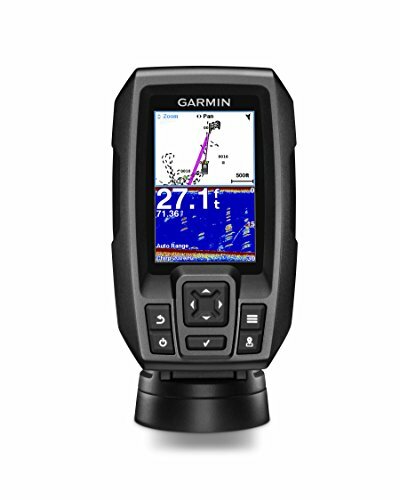 If money is not a problem for you or you have saved up specifically to get a more high end model from Garmin, take a look at the Garmin 010-01809-00 Striker 7SV which features a clear scanning sonar which will allow you to get a clear image of what is around your boat. You’ll be able to see not only fish, but objects and structures around you as well. It has an easy-to-use keyed interface and comes in three different display sizes to match your preference. The chirp sonar on this device will give you constant data that provides a larger range of information and a built-in flasher that is great for vertical jigging. Now you want to fish with the big boys and require a unit that can keep up. TheStriker 7will give you that edge that you need and comes from a brand you know and trust. Having an almost photographic view of the bottom of the water sets this apart from the Echo and the Striker 4. You not only get a good idea of what the fish size is, you also get a perfect understanding for how the bottom of the water is laid out. With its built in GPS and with your maps you are able to pinpoint return trips to hot spots. A 7 inch display means you can see more and in better detail. The Chirp sonar gives you the added feature of being able to separate those fish in fish arches so you can get a more accurate representation of the size and number of fish below you. Something to note, like the Striker 4 it does NOT come with maps. If you are getting this an expecting it to be used as a chart plotter you will be disappointed It is a little misleading how it is labeled so that is a drawback. With so many options out there Garmin is sure to have one that is just right for you. So, head out and see if you can find one that fits your wants, needs and your budget. Spend more time fishing and less time waiting.